Fine, washed, white concrete sand. 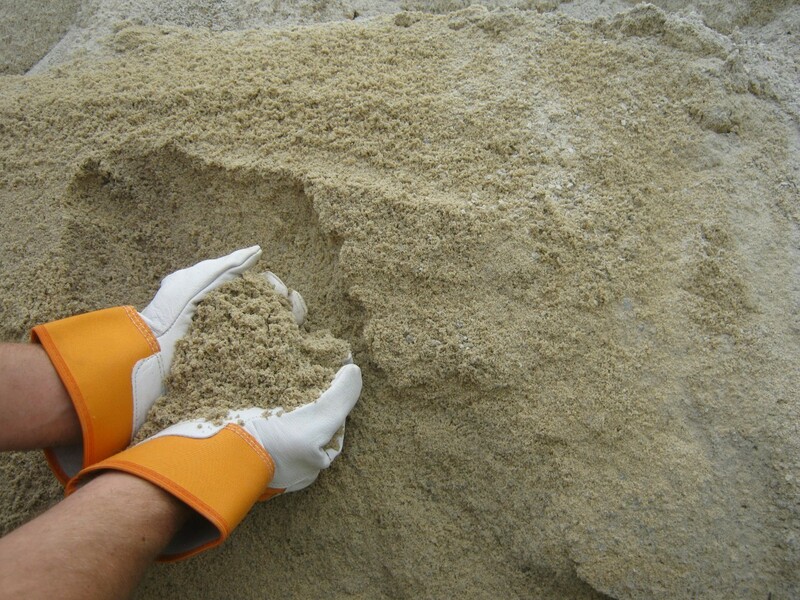 Instead of round particles (like bar sand), concrete sand has irregularly shaped, chipped-looking particles that allow it to pack, making it ideal as the leveling medium between pavers and the modified base. Mixing with cement to make concrete.